Sebum is natural oil produced by the glands to prevent the skin from becoming dry. This natural oil is secreted as a result of hormonal changes which is very common during puberty. It is a normal occurrence but excessive production of sebum may result to a shiny and oily skin. As a consequence, acne may develop. 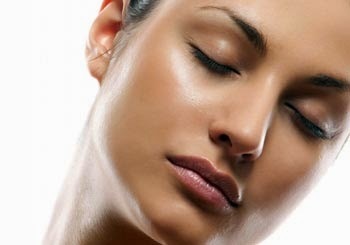 Therefore, it is vital that you learn several tips on managing an oily skin or how to prevent it. Washing the face may help in getting rid of surplus oil but excessive washing may cause the face to become dry. Using strong soaps, too much exfoliation and rinsing with hot water may also contribute to dryness. The use of alcohol pads also gives the same result. Once this happens, oil glands will make up for dryness thus secreting more sebum. So if you really want to control the oil on your face, wash with mild soap or cleanser and rinse with lukewarm water every morning and every night. Moreover, limit exfoliation to just once a week. Moisturizer is necessary to prevent the skin from becoming dry. Even people with oily skin need a moisturizer. Yes, you read it right. But wouldn't a moisturizer just make your face oilier? All you need to do is to purchase the right moisturizer which is water-based and oil-free. You may opt for a product which has oatmeal since this will brighten and soothe the skin without the risk of dehydration. Free Beauty Tips website also recommends applying moisturizer with alpha lipoic acid which reduces oil but only for a brief duration. Moisturizer should be included in your nightly regimen. Foundations, whether they come in the form of cream or compact powder, are commonly oil-based. Using them would worsen the greasy and shiny look of your skin. One option that you have is to use loose powder to control the oil on your face. Aside from that, loose powders also take off that shiny appearance. The good thing about loose powder is that you can apply it anytime of the day. However, if you want the coverage given by foundations, try finding a product that is oil-free and water based. Before applying foundation or makeup, use a blotting paper. This will help in absorbing excess oil from your face. Consequently, when you put on foundation, less oil will be at the base therefore your skin would not appear that shiny. Another technique that you can do is to apply shimmery makeup. This will enhance the natural shine of your skin making it attractive rather than problematic. There is a lot of things you can do to control the oil on your face. Keep this tips in mind and you will no longer have to worry about having all that grease on your face. All you will have is a healthy looking skin.